1. 1137 New Cadets took an oath and entered the United States Military Academy at West Point on 1 July 1965. 2. 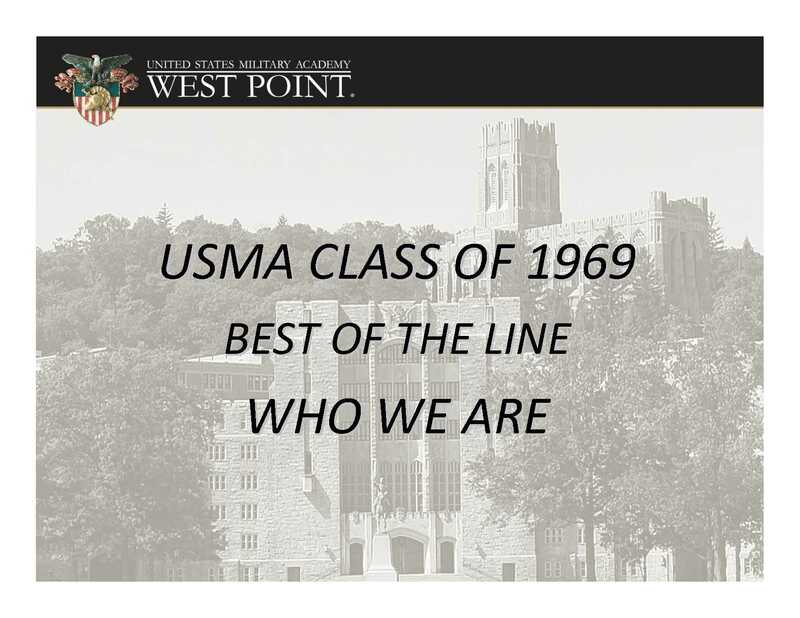 Four years later, 800 Cadets successfully graduated from West Point on 4 June 1969. 3. In the 7 days before 4 June 1969 (or Graduation Week), there were 220 soldiers reported to have died in combat in Vietnam. 5. By 4 June 1972, close to 500 members of the West Point Class of 1969 had already served or were still serving in Vietnam. 6. 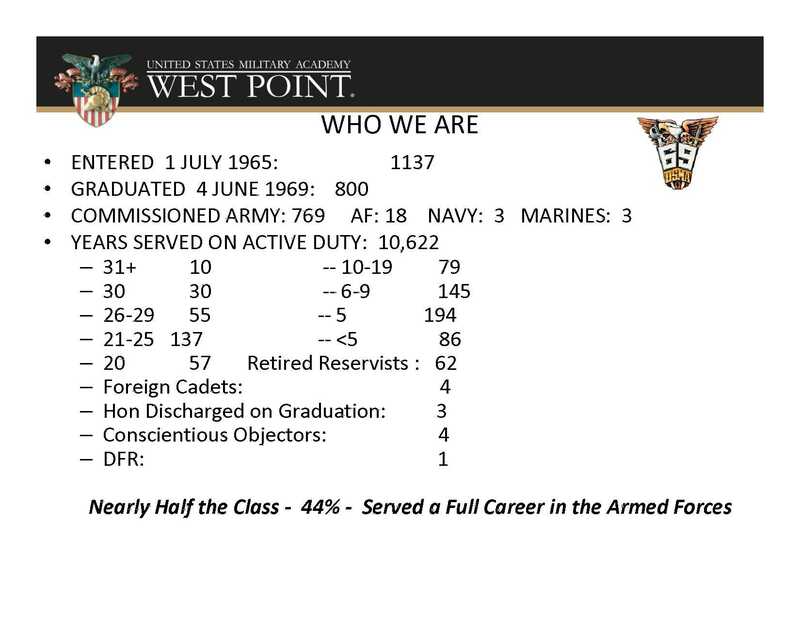 Over their military careers, the members of the Class of 1969 served 10,622 years on active duty. 8. The members of this class received 206 awards for valor and heroism. 9. 98 members of the class received at least one Purple Heart. 10. 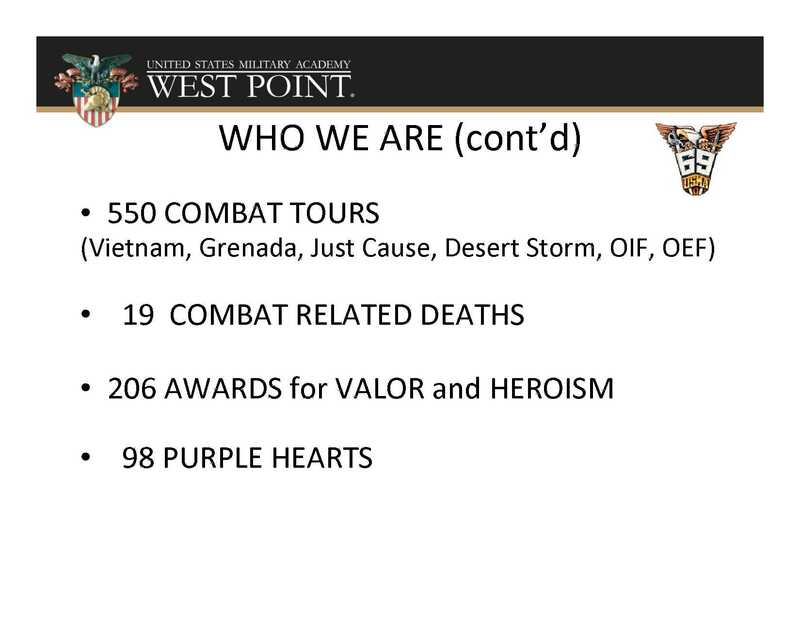 Of the 98 Purple Hearts, 19 were due to combat related deaths. 11. 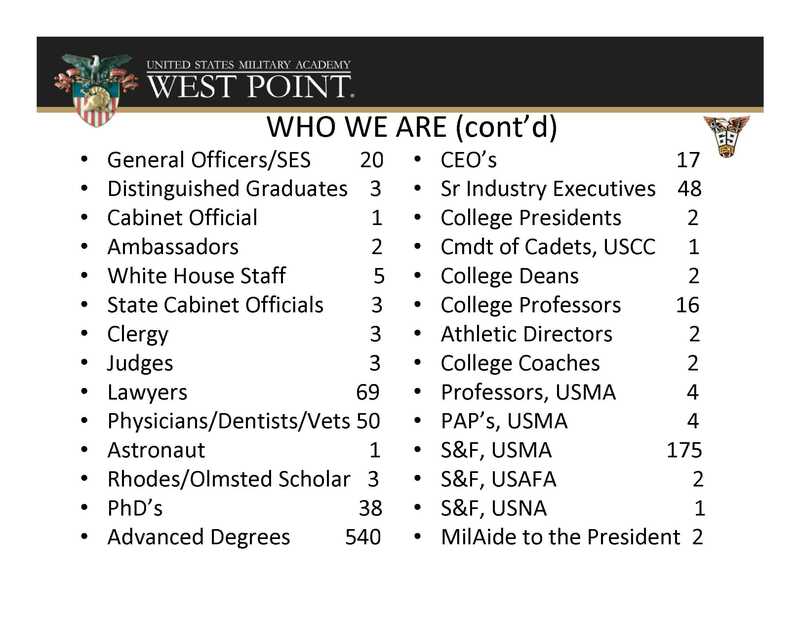 And of the 19 combat related deaths, 8 are buried at West Point -- less than 1,000 yards from the place where they took their first oath as New Cadets on 1 July 1965. * A few more statistics than I [Arnie Haake] had in previous versions. ** I welcome comments or corrections.